Bangalore, INDIA – In 2014, it is expected that net global capital expenditures attributable to network investments and growth will exceed $354 Billion; up 4% from the previous year ($340B). While this growth is driven by massive expansion in LTE rollouts and network transformations, what is alarming to operator finance teams around the world is the lack of growth in revenues. Under the backdrop of increasing capital expenditures (Capex) and revenue growth that is failing to keep pace, operators are now faced with a critical, immediate need to rationalize Capex practices. With this history in mind, the TM Forum Asset Management project team along with Subex as project lead, met with dozens of operators and commissioned an industry survey to study Network Asset Management programs and practices within operators today. The first ever in-depth survey, targeted at both the CFO and CTO organisations, across 29 operators focuses on understanding the magnitude of Capex challenge globally and the returns on existing network investment that operators are experiencing.The report is part of the assets in TM Forum Frameworx 14.5. Major findings by the study revealed more finance-led justification and analysis prior to providing Capex approvals, resulting in a need for increased collaboration between both organizations. When asked where investment priorities existed, operators overwhelmingly ranked transformation and capacity augmentation as their key initiatives. To access the full survey report please click here. TM Forum is a global industry association which helps its members transform and succeed in the digital economy. The collective experience and interests of our member community comprised of more than 85,000 experts from 900+ global enterprises, service providers and technology suppliers drives everything we do, from thought-provoking research and publications, to practical guidance, tools and best practices, hands-on events, and training for business and IT leaders. Through three key programs – Agile Business and IT, Open Digital Ecosystem, and Customer Engagement – we provide a unique platform for our members to connect and collaborate with individuals and groups from around the world to solve key challenges and rapidly innovate to deliver new services, improve business agility, partner for success, reduce cost and risk, and enhance customer value and loyalty. To learn more about the Forum and join our digital journey as a valued member and collaborator, please visit www.tmforum.org. London, UK – The results of the first ever in-depth global survey to understand the impact of fraud on the wholesale carrier industry has been published today by Subex Ltd, a leading global provider of Business Support Systems (BSS) for Communications Service Providers (CSPs), in collaboration with Capacity Media, a leading voice on the wholesale telecommunications market and carrier-to-carrier business. Wholesale Carrier market is estimated to be around $170 Billion and the survey results indicate that carriers are estimated to have lost US$6.12 billion to fraud last year alone, raising the question is fraud an issue carriers can any longer afford to ignore? The comprehensive survey was based on detailed responses from 195 participants from some of the world’s largest carriers from across North America, Europe, South America, Asia-Pacific, the Middle East and Africa. It highlights some of the key problems facing carriers today as a result of fraud and identifies the various types of fraud that are presently plaguing the industry. The report also reflects on some of the key reasons behind the increase in fraud in the global carrier market over the last two to three years. The report identifies the most prevalent different types of fraud in the wholesale carrier market, with False Answer Fraud being the highest at 55.71%. A large volume of fraud is related to immediate partners, which includes New Operators – Credit Risk (51.4%), False Disputes (30.7%), Blending HQ Routes (31.4%), Long Firm (7.1%). This indicates carriers will perhaps benefit from more stringent due diligence both during partner on-boarding as well as on an ongoing basis. The survey also shows that internal fraud is on the rise, with approximately 13% of carriers reporting losses due to internal fraud. The survey reveals that the industry is opening its eyes to the growing issue of fraud, with 77% of respondents reporting that pressure on margins has resulted in an overall increase in awareness or focus on fraud. There is still much work to be done, however, and only 35% of wholesale carriers have dedicated fraud management teams, with an even lower 25% of wholesale carriers collaborating via dedicated fraud forums. While nearly 80% of wholesale carriers use in-house developed tools for fraud detection, more than two thirds of them report a lack of automation and timely availability of data as hindering their fight against fraud. 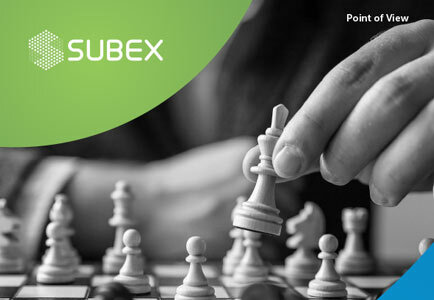 Subex’s ROC® Fraud Management solution is built to help CSPs move towards proactive fraud prevention, reducing fraud run time, augmenting internal controls and continuous fraud management process improvement. It boasts several wholesale carrier industry specific features and capabilities. Vinod Kumar, Chief Operating Officer, Subex Ltd said, “Sitting on the fence is no more an option else carriers will see fraud continue unabated and eat into margins which are already under pressure. The aim of this report is to increase awareness within carriers and help them prepare in their fight against fraud”. “Fraud is a serious threat that is impacting telecoms operators today. We felt that it was important for us to increase awareness about possible fraudulent threats that will affect telco’s revenue and services. Through this survey, Subex has done an excellent job in raising awareness of fraud in the sector, as well as exploring new ideas to help combat the issue,” says Alex Hawkes, Editor, Capacity Media. London, UK – Subex Ltd, a leading global provider of Business Support Systems (B/OSS) for Communications Service Providers (CSPs) and Heavy Reading, an independent research organization conducted an in-depth global survey to understand the problems operators face with their data quality and data integrity. The in-depth survey based on responses from 95 operators across North America, Europe, South America, Asia/Pacific, and the Middle East and Africa, highlights some critical benchmarks in the data integrity management space. It reflects how CSPs across the globe lack substantial investment in data integrity. Poor data integrity has been a longstanding problem in carrier environments that leads to inefficiencies and expensive manual re-work across the full range of operations such as provisioning and activation, service assurance, billing and capacity planning. According to the 2011 Analysys Mason Report, the global market for Data Integrity Management will reach $137M by 2014 from $98M in 2010. Six out of every 10 operators globally experience up to 30 percent order fallouts. The main reasons for high order fallout are too many manual steps and also too many siloed processes and process views. Approximately 50 percent of operators still use ad hoc manual audits to keep inventory data in sync with the network. The report shows trends and results across geographies, with results for ¬five major regions: North America, Europe, South America, Asia/Paci¬fic, and the Middle East and Africa. It takes into consideration the fact that results vary across the globe, as operators and their demands are specifi¬c to their own region. On average, North America emerges as a region that uses maximum automation in processes, while Asia/Paci¬fic shows maximum synchronization between network and inventory data. Data accuracy and integrity are the tenets of operational excellence for telecommunications and network service providers. So to combat the problems that operators have with the quality, accuracy, consistency and relevance of data Subex offers its ROC® Data Integrity Management solution. Subex’s ROC Data Integrity Management solution combines three powerful data integrity functions: multi-layer network and service discovery; data reconciliation; and discrepancy analytics. The solution discovers devices and logical services in diverse network environments and reconciles this data with the OSS/BSS on a continuous, controlled basis. The result is consistent, relevant data throughout service provider operations, enhancing the effectiveness and value of service fulfillment, service assurance, and billing systems. Sudeesh Yezhuvath, COO, Subex Ltd said, “For an operator, the goal is to reduce operational, network and capital expenditures in a cost-optimized and time-efficient manner that accelerates ROI from a data quality program. Although many operators are now recognizing the need for a data integrity solution, we believe that with the entry of new technologies and higher complexities, data integrity management will gain considerable importance with discovery and reconciliation solution high up on the list”. The Subex/Heavy Reading Data Integrity Management (DIM) Benchmarking Survey also looks at CSPs’ wish list for future offerings, their planned areas of investment around OSS/BSS which they cannot obtain at present. Bangalore, INDIA – Subex Ltd, a leading global provider of operations and business support systems (OSS/BSS) for communications service providers (CSP’s), has launched a whitepaper about helping prevent fraud in Machine to Machine (M2M) communications and Embedded Mobile environments. Subex’s industry leading Revenue Operations Centre (ROC®) Fraud Management solution provides real-time fraud controls that can help prevent telecommunication fraud in M2M. Machine to Machine (M2M) Communications and the related concept of Embedded Mobile refers to technologies that allow both wireless and wired systems to communicate with other devices of the same ability. M2M devices have been in existence for over a decade, but have been predominant in the automotive sector until recently. M2M devices are now penetrating the consumer applications sector such as smart metering, supply-side generation management, home and business surveillance, cardio-vascular disease and diabetes management, and body area networks. The advancement of wireless networks has changed the M2M ecosystem from a restricted one-to-one device communication into a connection of networks that relay data to and from multiple devices very fast and at relatively low cost. Declining average revenues per user (ARPU) and increasing customer demands for real-time access to services, have prompted service providers to venture into new areas with new underlying revenue models. One of the most prominent is the M2M market. This rapidly expanding market presents a great opportunity for CSPs to increase their revenues. The ROC Fraud Management Solution from Subex is built to drive fraud prevention by eliminating known frauds, uncovering new fraud patterns, minimizing fraud run-time, augmenting internal controls, and supporting continuous fraud management process improvement.